We’re pleased to announce that our film “The Intuition Artist” will enjoy its UK debut at the No/Gloss Film Festival this October! 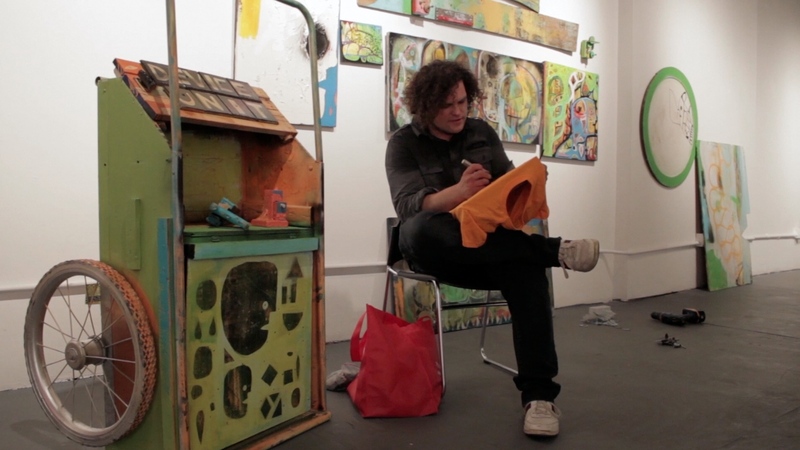 Our short documentary features painter, Gabe Felice, as he sets up a psychedelic show at Future Tenant Gallery in Pittsburgh, PA. Gabe describes what inspires him to create his work, as well as his struggles as an uninsured artist in America. No/Gloss (as seen in BBC Films’ Great Film Festivals Collection), is the first ever DIY film festival in Leeds. It celebrates do-it-yourself unconventional cinema from independent filmmakers from around the world. Check out their program, consider submitting next year, and get your tickets to this years festival at the No/Gloss site! The Intuition Artist was directed by Tim Murray, produced by Julie Sokolow, and scored by Dan Koshute. Email healthyartists@gmail.com to inquire about screening the film near you.